When Yu Liufen answered questions from the media at the Great Hall of the People before the opening of the Second Session of the 13th National Committee of the Chinese People's Political Consultative Conference (CPPCC) on March 3, she stole the limelight with her inspirational story and forthright approach. For the past 16 years, Yu has helped residents in Yanbo, a mountainous village in southwest China's Guizhou Province, eradicate poverty and develop the local economy. 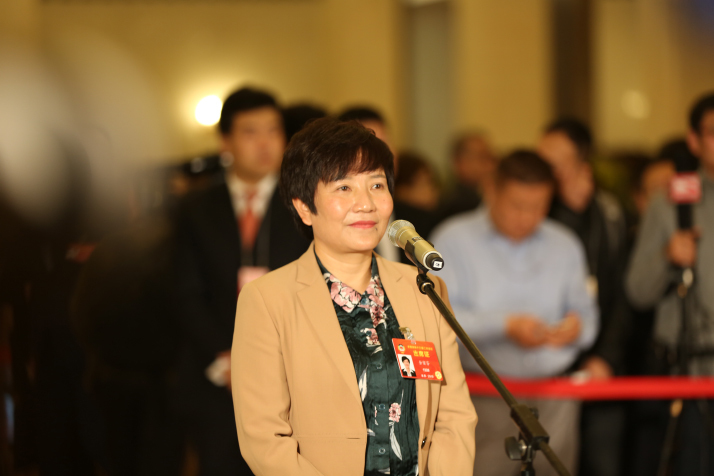 Her hard work received a lot of attention and last year she became a member of the 13th CPPCC National Committee, China's top political advisory body. Now, she is able to be the voice of villagers she helps at the two sessions of the National People's Congress (NPC) and the CPPCC National Committee on March 3-15 this year. "Before me, there was no precedent that a woman could be a secretary of a branch of the Communist Party of China (CPC) in Yi minority villages around my hometown," Yu told ChinAfrica. Yu is not the only female representative at the two sessions. China's political stage is seeing a growing presence of female officials and legislators. On the one hand, they play an increasingly important role in political and social decision-making; on the other, they are the main driving force in promoting the progress of society and leading people to a better life. 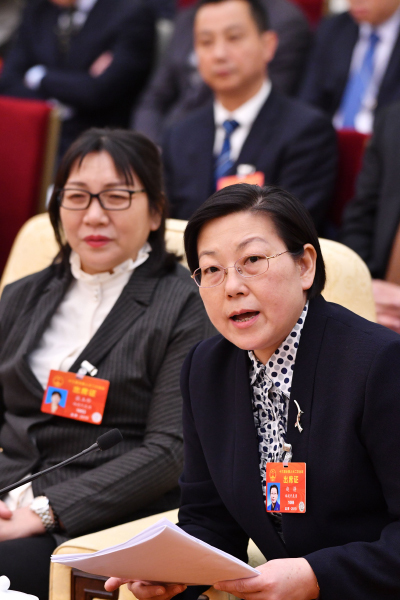 In recent years, more female NPC deputies and CPPCC National Committee members have been engaging in legislative and political advisory sessions. The Outline for the Development of Chinese Women (2011-20) released by the State Council proposes that the government will continue to boost women's participation in decision-making and management of state and social affairs and will gradually increase seats for women officials in the leadership of China's central, provincial and municipal governments. According to the official website of the NPC, among the deputies to this year's NPC session, 742 are female, accounting for 24.9 percent of the total 2,975. The number of female participants has risen by 43 from the group elected for a five-year term in 2013, an increase of 1.5 percent. Despite the growing number of female deputies, it is still far below the 30 percent mark proposed for legislatures worldwide by the United Nations at the Fourth World Conference on Women in 1995. However, the country had already moved to address the imbalance. In 2008, a regulation was introduced, stating that the proportion of females in the legislature must be higher than 22 percent. The CPPCC is an important channel for Chinese women to participate in political affairs. This year, the CPPCC National Committee has a total of 2,157 members, including 440 female members. This figure accounts for 20.4 percent of the total number of members, an increase of 2.56 percentage points over the 17.84 percent of the 12th CPPCC National Committee. It has been the largest increase since the reform and opening up of China in 1978 and the highest rate since the founding of the People's Republic of China in 1949. In addition, regarding grassroots level, according to the outline, at least one seat should be guaranteed for women officials for all county-level governments and above. A 30-percent reservation for women in villagers' committees is promised, and at least 10 percent of heads of villagers' committees should be females. Women are also playing a leading role in helping build a better society, according to observers. In 2001, Yu served as the secretary of the CPC Yanbo Branch. At that time, the village was mired in extreme poverty, one-third of the residents lived below the national poverty line, with annual per-capita income of no more than 800 yuan ($123). "Women were overlooked in the village at that time," said Yu. "Even the money to buy salt had to be sought from their husbands." Yu wanted to change the situation. With her efforts, a distillery using the traditional methods of the local Yi ethnic group was built. In 2013, the distillery made a successful transition to a limited liability company - Guizhou Yanbo Liquor Industry Co. - and villagers became shareholders. After the establishment of the company, a large number of female villagers were recruited. "I found that the women in the mountains are especially wise. They are diligent, hard-working, careful, and practical, and have made great contributions to the development of local economy," said Yu. Today, two-thirds of the company employees are female. Such diverse development has brought prosperity to Yanbo Village. Last year, the annual per-capita income increased to 15,457 yuan ($2,378). Yu believes women could play a big role in the development of society. "Now the government attaches great importance to all aspects of women's entrepreneurship, and we have a large stage," she said, having also set her sights on the need to improve the Internet connection and related services in rural areas of China, especially mountain villages. During the two sessions, women's right was one of the key issues under discussion. The Report on the Work of the Government, delivered by Chinese Premier Li Keqiang, stated that the government will resolutely prevent gender inequality and identity discrimination in the workplace. "In response to the new demands created by the full implementation of the second-child policy, we will move faster to develop various types of infant and child-care services, such as encouraging private entities to run child and early childhood education agencies," the report said. Huang Yuguang, a physician at Peking Union Medical College Hospital and a member of the 13th CPPCC National Committee, proposed that major employers should provide low-cost child care facilities. "To relieve the child-care burden on working mothers and encourage the birth of second children, enterprises and institutions should resume the welfare of nurseries and ease the worries of working mothers," he said. Reducing gender inequity was also addressed. Liu Yamei, Director of the Publicity Department of the All-China Women's Federation (ACWF), noticed that after the implementation of the two-child policy in 2016, the willingness of employers to recruit unmarried women is reduced, and discrimination in women's employment has become a prominent issue of widespread concern in society. During the two sessions, the ACWF suggests that financial preferential policies be implemented for granting certain subsidies to enterprises hiring female employees. In addition, tax reduction preferential policies should be carried out for enterprises with large numbers of female employees, and the government should establish incentive measures to encourage employers to recruit women.